Height adjustable mechanism adjusts to suit user's height. Reclining tilt mechanism with tension control adjustable for individual body weight. Chrome armrests fitted with leather pads for extra comfort. Chrome base with twin wheel hooded castors. Suitable for users up to weight capacity of 25 stone. Optional pre-assembly service available - have your chair built and delivered to your door. 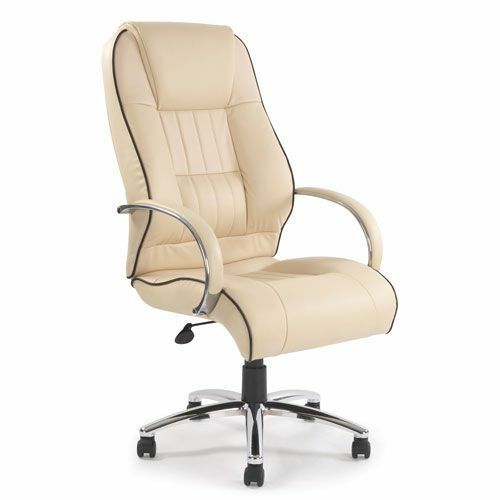 High back leather faced executive chair with integral headrest and lumbar support.